Are you looking for a certification in scuba diving but wondering about the dive associations where you can avail these certificates? 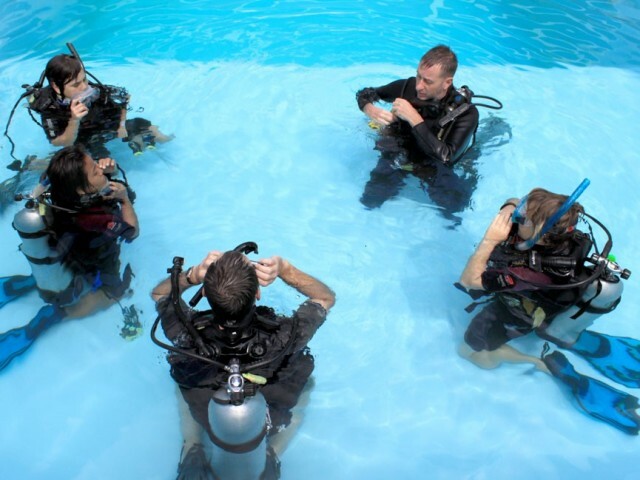 You need to have a very clear understanding of the diving associations that provide certificates in diving. In this context, let us have a look at PADI course in Thailand. PADI is Professional Association of Diving Instructors and it is the largest recreational dive association throughout the world. The association has split its educational pattern into different small courses making it very easy for people to start diving while taking one course after the other. This helps them in increasing their experience and competency. PADI courses are generally taught in popular beach destinations as most courses can easily be completed within a week’s time. PADI is one of the most popular scuba diving training organizations in the world. It has over 6200 dive resorts and centers and above 136,000 PADI professionals who have issued over 23 million scuba diving certifications throughout the world. It is only because of its popularity that you can easily find PADI scuba diving services and diver courses almost everywhere in the world and Thailand is not an exception to this. PADI course in Thailand and in other parts of the world is generally based on progressive training which introduces safety-related information, local environment knowledge and basic diving skills to the student divers at various stages. The course is usually student-centered providing realistic application and maximum practice. PADI professionals and experts make scuba diving adventures and underwater exploration possible and at the same time they try and maintain the highest standards for customer service, safety and training of the diver students. According to PADI, there are four elements of a diver’s lifestyle and they are experience, education, equipment and environmental conservation. A student undergoing a PADI course in Thailand is introduced to the basics of diving physiology and physics during the entry level programs. During the later courses, the student divers are provided with the details of the physics and physiology concepts. PADI training procedure in Thailand is composed of different modules along with standardized learning aims and objectives which are divided into practical skills development as well as theory. Each module appears in the form of a stand-alone program with certifications provided to students with the successful completion of the module. Self-study is the only mechanism for conveying theory which is done through computer-based training with the use of CD-ROM, books and online learning as well. Students obtain practical skills through confined water training is shallow water and pools along with performance evaluations done in open water. PADI has also developed courses for people or diving enthusiasts who have this strong desire of diving beyond 40 metres, diving in an overhead environment beyond 40 linear meters, using variable gas mixture or accelerated decompression while diving and the one who look forward to using stage decompression. There are a number of well-known training organizations in Thailand that provide PADI courses in scuba dividing, However, the choice of the training organization needs to be done carefully.